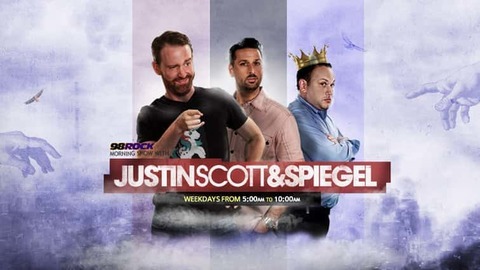 Justin, Scott and Spiegel Show is 98 Rock's Morning Show. Heard from 5am - 10am weekdays on Baltimore's 98 Rock. Admit it - we all do. Except Josh.